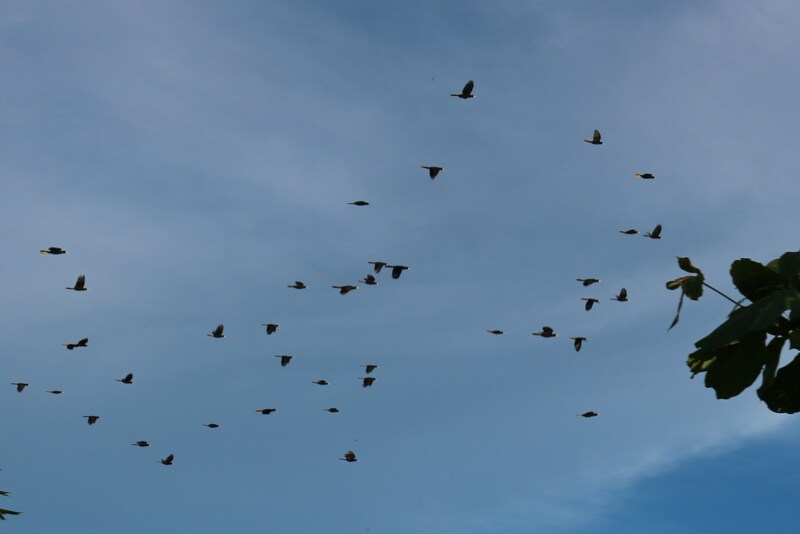 Every morning and every evening the back campo turns into a big bird highway. Lately the Crested Oropendolas have taken the time to pause in their travels and root around in the big stand of bamboo in the neighbor’s yard, possibly considering it for future nesting grounds. 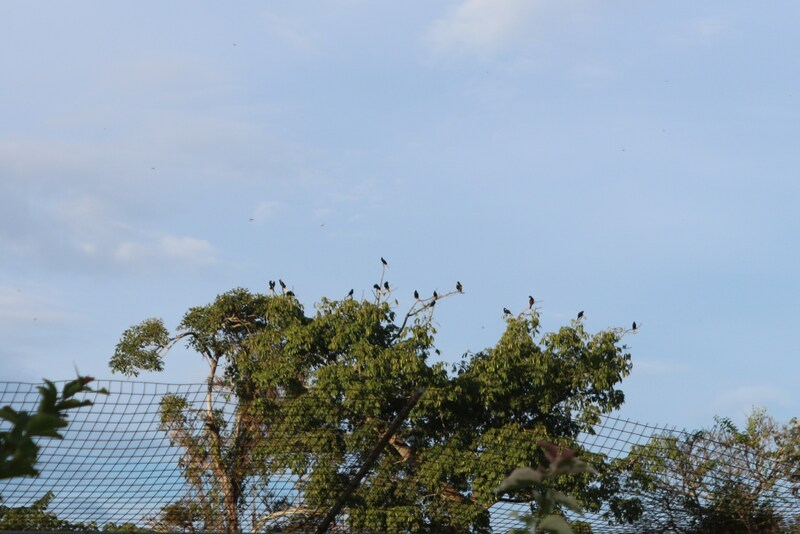 Yesterday evening however; there was a fiesta going on and so the birds cautiously observed from one of the large trees on the edge of the field before taking a fly by to their nesting spot for the evening…in the campo. 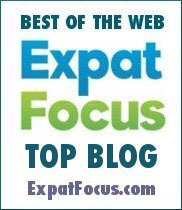 This entry was posted in Snapshot Sunday and tagged Azuero Peninsula, Crested Oropendola, Ex Pat in Panama, Ex Pat Tales, Living in Panama, nature, outdoors, Panama, Panama Retirement, Panameño, Pedasi, Retirement in Panama. Bookmark the permalink. Wow, you have a lot of them! Oh, I was looking at your oropendolas!